As the coordination office of PPD .NAFSO organized a two days discussion among the PPD activist of the PPD network. 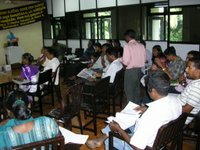 Specially we organized this work shop even in this savior situation in Sri Lanka between LTTE and the Sri Lankan government to emphasize to the universal what s the our solution on that. 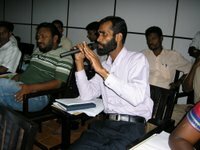 It was being conducted for for two days from 26th to 27 of April at Chinthana training Center in Nainamadama. 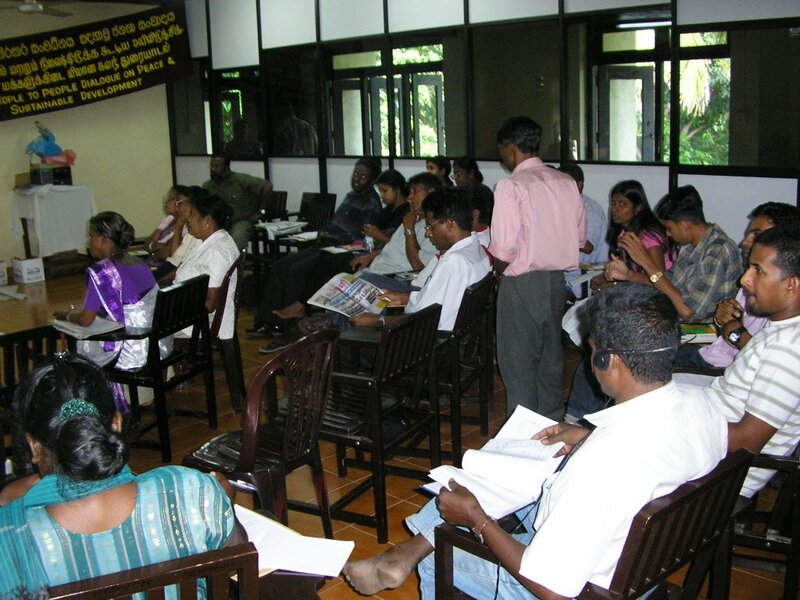 There were around 60 participants from various partner organizations including special participants HIVOS Sri Lankan consultant Mis.Fizun Zakaria, the National Coinvener of NAFSO Mr.Herman Kumara, The secretary of MONLAR Mr. Sarath Fernando, had joined to success this program further. Apart from that SAVISTHRI, GAMIKANTHA PERAMUNA, KANTHA SHAKTHI, WORKERS UNIONS and Center for Development Organization (CDO) also gave their participation for this program. Especially we could share our ideas each other with present problems are being grown day by day. Ceasefire and the agreement of Understanding of Memorandum. « How can be issued a common statement on that. 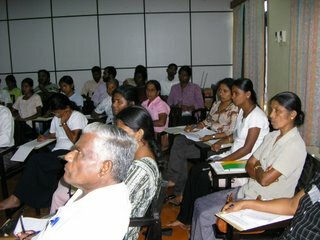 And to urge LTTE and the government to stop killings as well as bring them to a clear agreement. 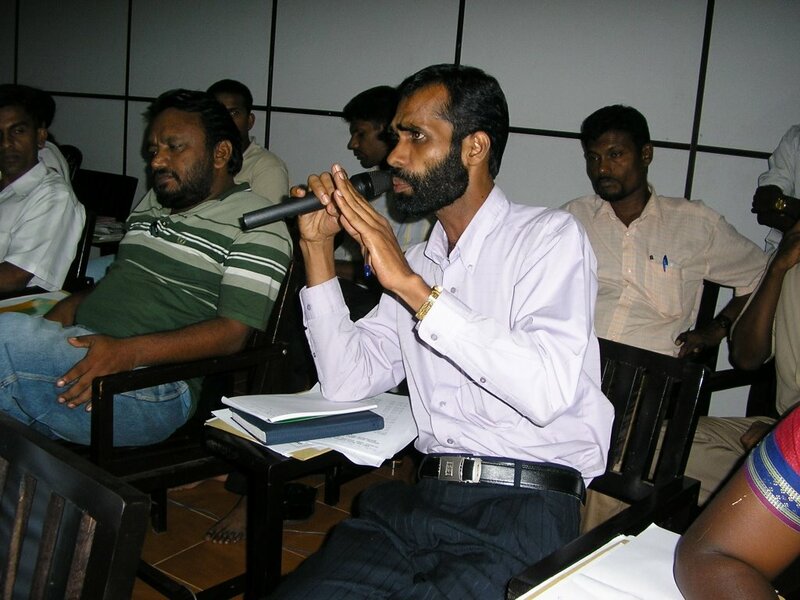 « Held as a debate among the participants joined this program. « In this program we didn’t forget to discuss the rights of the Muslims also. There was keen debate each other. After this long discussion we could come to a final agreement with main 7 facts with the participants to issue a press release. Finally we are inviting all the people in the world to join in hands with us for the peace with honor.